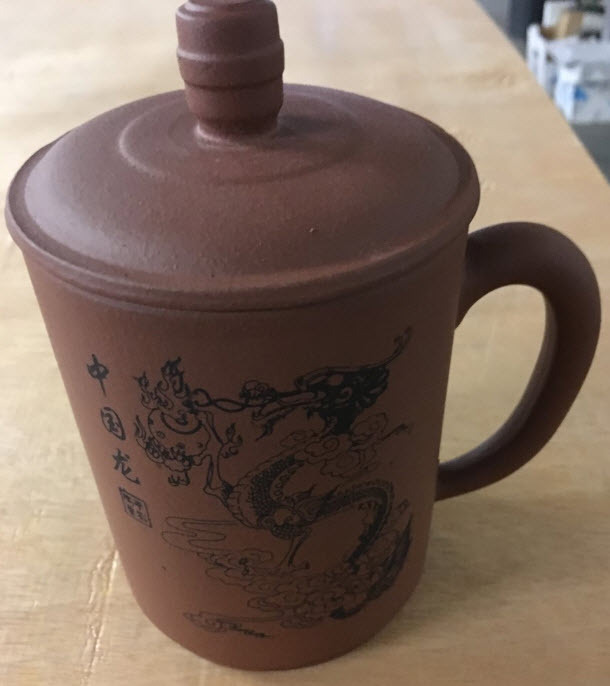 Yixing wares are ideal vessels for brewing tea. With continued usage the purple clay, from which the Yixing teapots are made, will absorb the aroma and flavors of your tea. 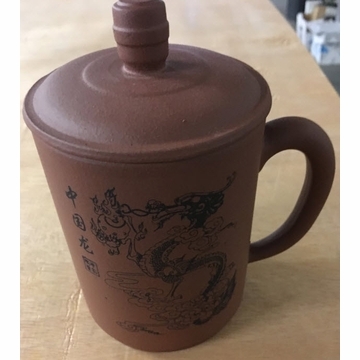 This classically designed tea mug has the dragon scribed on the side. This mug comes with its own lid. Cup arrived broken and after contacting Enjoying Tea was promptly sent a new one. Itâ€™s my first clay cup and I love it. So much I ordered a pot. I really like this full sized, purple clay mug. It is big enough to keep me sipping for hours. I use a clay infuser from an old cup to brew inside the mug. The handle is shaped like a bamboo stalk, and the bottom of the handle has a small offshoot that provides balance and stability for my little finger. All in all a very nice addition to my tea collection. I very like this mug. I like the mug a lot. Perfect size for my morning tea. Excellent. Just right in volume, size, weight. Made for right-handed individual, which is perfect for the weight and balance. Use it for only favorite teas, leaves very pleasant aroma infused with the clay. I heartily recommend to everyone.